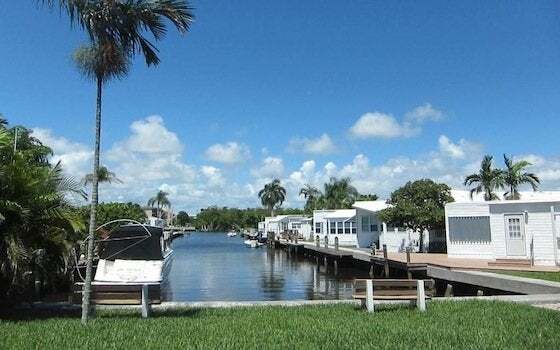 From their travel trailer beginnings, mobile homes have evolved into finely tuned—and in some cases rather luxurious—permanent, full-time abodes. In Elkhart, IN, at the Recreational Vehicle/Manufactured Housing (RV/MH) Hall of Fame, resident historian Al Hesselbart has created a library dedicated to the evolution of the mobile home. Having begun the job with no prior knowledge of the subject, Hesselbart read all of the books before putting them on the shelves. Now the self-taught authority makes frequent public appearances, has been inducted into the Tin Can Tourists Hall of Fame, and will be giving a keynote speech at China’s first national RV conference in Beijing. Hesselbart is good for a dynamic industry that still suffers from stigma (“trailer trash”), myth (“factory-built homes are not as strong as traditional homes”), and general confusion—is a manufactured home a vehicle or a house? Though the metal trailers of yore bear little resemblance to the energy-efficient open-floor-plan manufactured homes of today, outdated attitudes and judgments remain. Hesselbart and industry executives, passionate architects and designers, the Manufactured Housing Industry (MHI) and state-level trade organizations are all on a collaborative mission to inform about the past, present, and future value of manufactured housing. In the beginning, trailer travel was primarily recreational, as vacationers realized that it was a fun, budget-friendly way to tour the country. When the Depression hit, however, families who had lost jobs and homes packed their lives into these crowded campers. Though originally never intended as full-time dwellings, manufacturers identified this as a new trend. The trailer home rose to the occasion during WWII as emergency housing on military bases and employee lodging near factories engaged in war production. With hundreds of manufacturers dispersed throughout the country, portable trailers were conveniently and quickly wheeled to locations, and over time, average square footage increased and livability improved. By the 50s and 60s, trailers were viable domiciles and mobile home ‘parks’ had sprouted up along the outskirts of thousands of towns. A typical park had a central shower and laundry facility with outhouses placed between every two units. 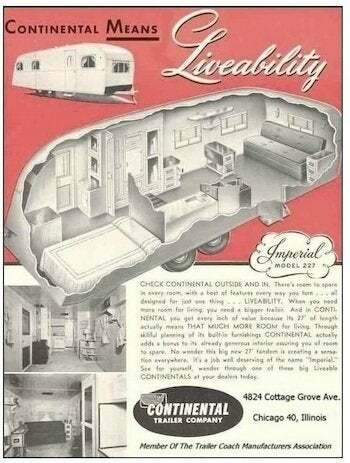 The mobile home offered modest, affordable housing for young and old alike in all regions of the country. In June 1976, the term “mobile” was officially set aside and replaced with “manufactured”, as The Department of Housing and Urban Development (HUD) set national standards to improve the quality and safety of these homes. Bruce Savage, industry veteran and consultant to the Manufactured Housing Institute (MHI) explains, “The HUD code has evolved, and the guidelines are fairly strict, but how they are achieved is up to the manufacturer.” A certification tag attached to each transportable section verifies inspection to this standard. Since 1976, the HUD Code has been updated several times. Building homes in a factory makes sense. 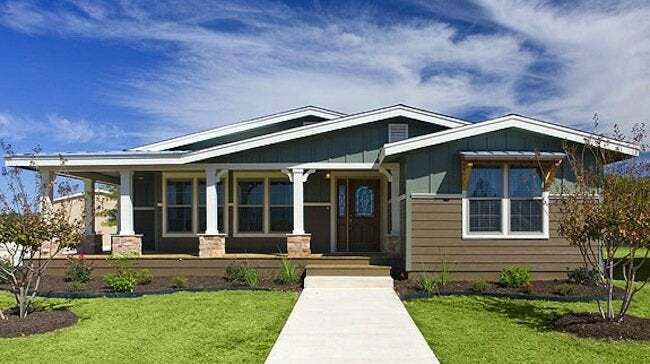 Joe Stegmayer, CEO of Cavco, says the factory construction process is “efficient and consistent.” At Cavco, it takes on average 7-10 days to complete a solid, system-tested home with a relatively high degree of finishing (painted dry wall, appliances installed, window treatments hung). In a controlled environment, homes are built by the same skilled workers every day, no matter the weather; materials are purchased in large quantities and delivered hassle-free; and precise measurements translate into reduced waste and a tight build. Tony Lucas, Cavco senior architect/designer, works with developers around the country designing regionally styled elevations. He welcomes the challenges—designing profiles for challenging sites, for example, or utilizing materials that are attractive but also high-performing. One example of mobile home design ingenuity: Hinged roofs enable homes to be elevated at installation while still managing to meet transport requirements. Siding options, once aluminum and vinyl only, now include stucco, brick, and rock. Despite all the style changes, the tell-tale sign of a manufactured home is the permanent chassis. At Paradise Cove and Point Dume Club, two mobile home parks in Malibu, CA, David Carter sells million-dollar trailers. “Buyers strip the old mobile homes down to the metal chassis, build out to the maximum allowed, and then put a regular stick building on top,” Carter says. People own the homes and lease the land (for up to $3,000 per month, depending on the lot’s size and location). Across the country, in Palm Beach County, FL, Mayor Roger Bennet presides over the town of Briny Breezes, a 488-home mobile park community. Tin Can Tourists from the North started to stake out Briny in the 30s, back when it was little more than farmland. The community later thrived as a tropical paradise for snowbirds, or “Whiny Geezers” as Mayor Bennet’s daughter teasingly dubbed them. Briny residents own their homes and have shares in the co-op that owns the land. In 2007, developers sought to buy out the Briny-ites. Mayor Bennet laughs, “We used to be a trailer park, and then all of a sudden we’re a quaint seaside village.” The deal fell through along with the economy.